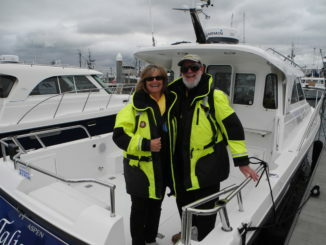 In the boating world we are inspired to ask what the experts think- best boat? twin engines or single? which anchor? Most recently someone asked do you NEED paper charts if you have electronics. So here is our two dollars worth. 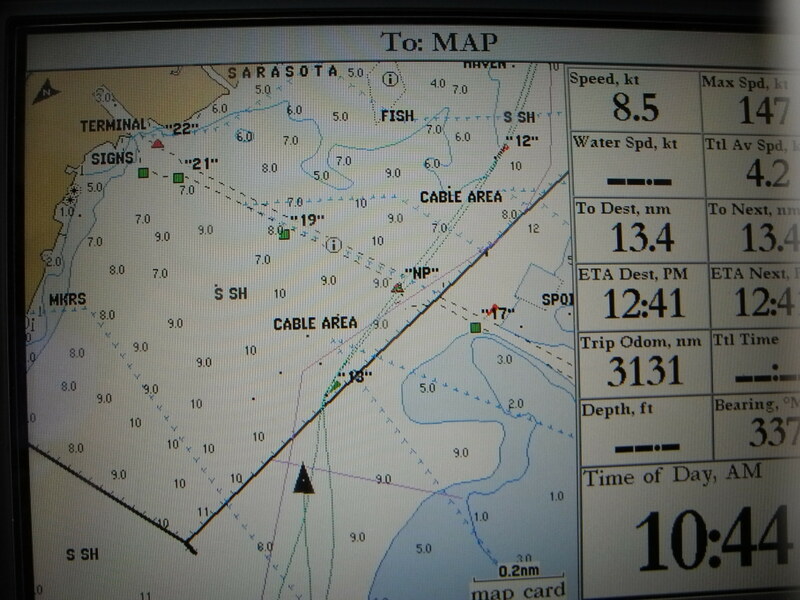 We believe in both paper charts and a marine GPS Chartplotter…yup both. Belts and suspenders may look awkward but they work. And here are a few reasons why. Technology has zoomed ahead, faster than most of us can truly understand all that it can do. And just because your electronics can do something, doesn’t mean you need to use it all. When we have so much information literally at our fingertips, we must be careful not to focus exclusively on the electronic screen. Raise your head and look away from the screen and out the window or you may find yourself NOT in deep water! So let’s look at our electronic options. 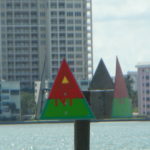 Navigation programs can be installed in your laptop or computer and are often quite adaptable to the user. On the other hand your laptop, tablet or iPad may not be resistant to the elements unless you put it in a special enclosure. Sometimes that enclosure or cover makes the touch screen less effective. This is not a problem if you are in a climate controlled pilot house. 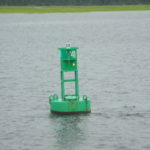 But most of us do have to consider where our navigation equipment will be used. 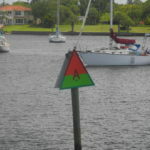 So consider a marine specific product if you won’t navigate entirely from a weather protected location. 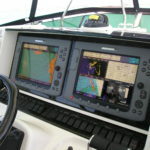 The marine Chart plotter is designed to be weather proof. It may be less adaptable than the uploaded laptop program and more restricted in what it offers but it was designed for the marine world. 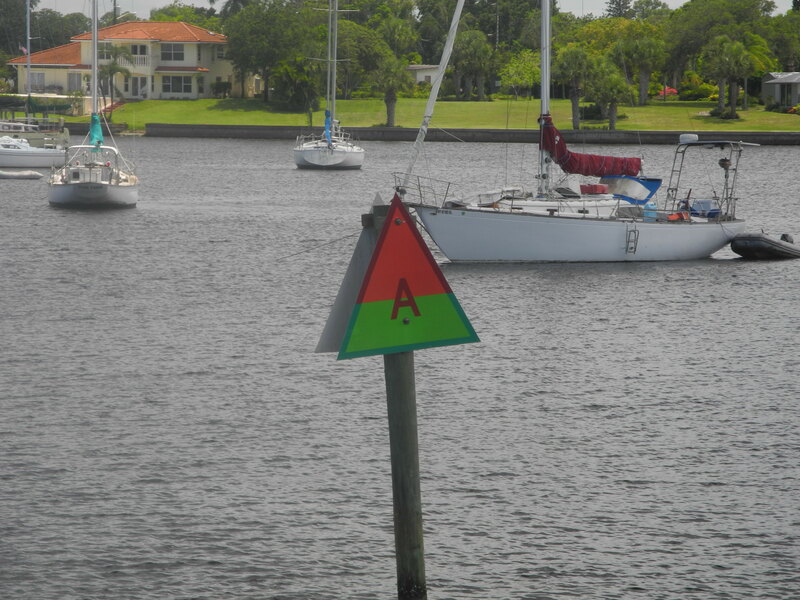 It will give you far more options than you really need to safely boat. Numerous manufacturers offer a variety of options so don’t think they are all the same. Some screens are easier to read than others. Some brands are more intuitive for the user. 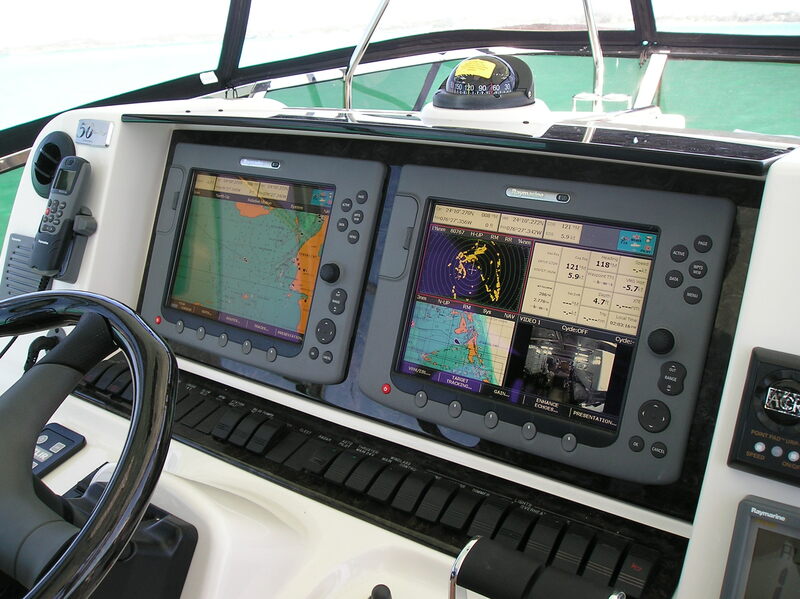 Try before you buy but do consider that marine electronics are specific for the task and very convenient to use. Still, we must consider will we have the power to use it and what will we do when it fails…because it will. 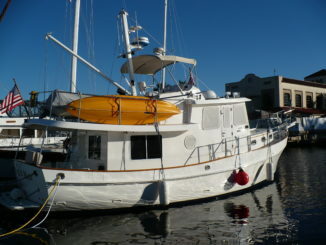 One poster on a boating forum stated, “The only way you might need paper charts is if the government turns the satellites off, and that is not going to happen.” Until it does…or a solar flare interferes with the signal or testing is required so satellites are blocked and one or more of these uh-oh moments have occurred more often than you realize. 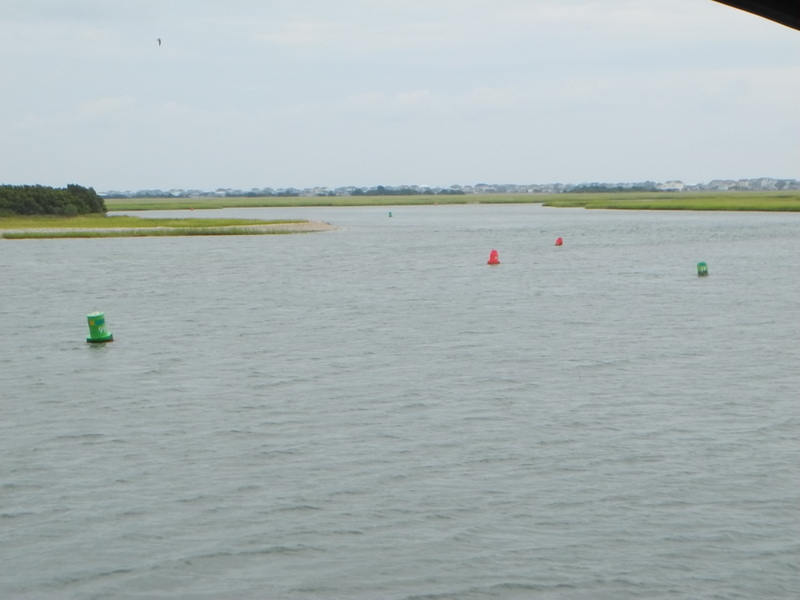 The longer you are out there on the water, the more your eyes can be opened to possibilities. But, you could be lucky if you want to roll the dice. We prefer to go with the guarantee. Paper charts give you the big picture and come in many sizes. They don’t need electronics or satellites and we believe you should peruse your paper charts long before you set out on your adventure. Spend the time you need to research your route, take notes and be prepared so you know what to expect. 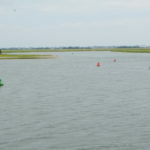 You can see the tidal shallow areas hours before you arrive. 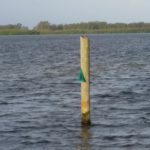 Learn far in advance that you need to anchor and wait a few hours to cross the bar. 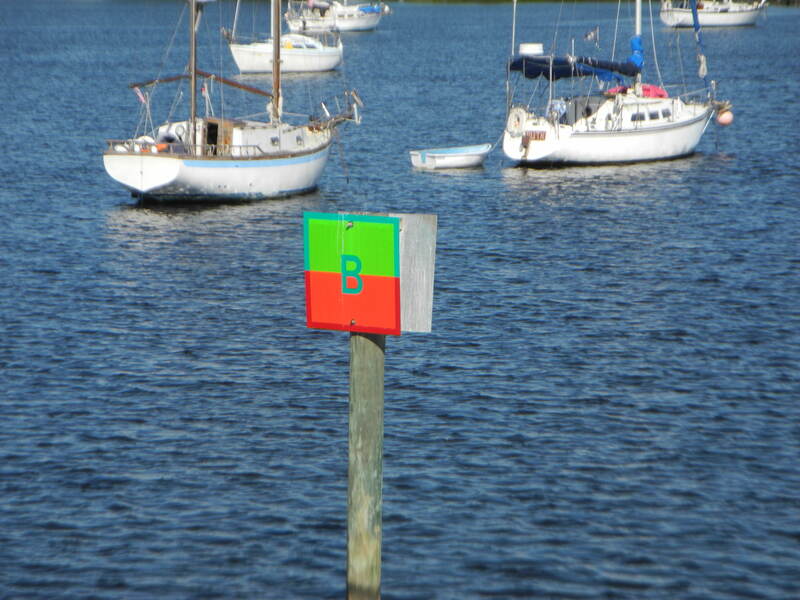 Think Hell’s Gate in GA and many other areas along the ICW. You can write notes on paper charts and there are no pop ups to block your view like on an electronic screen. Some of the smaller chart kits even come with a plastic envelope to protect the paper from the elements. 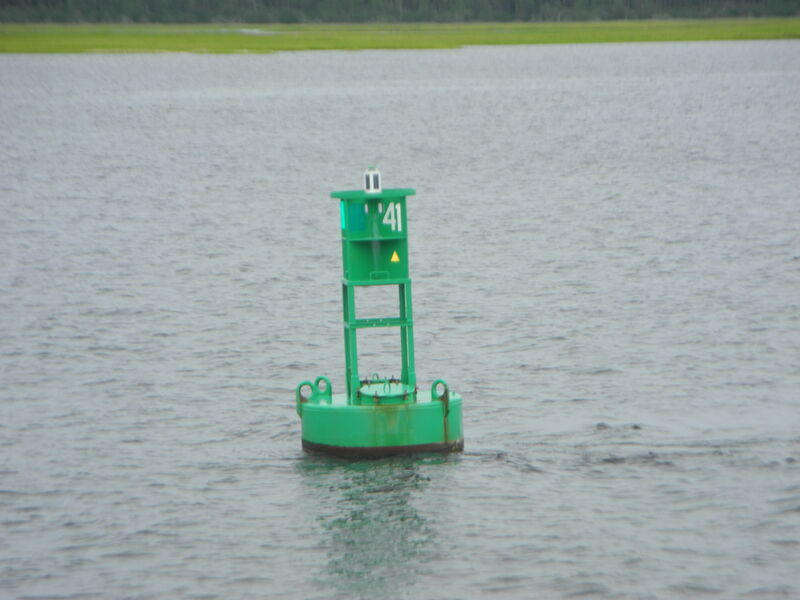 Best of all, after you plan your cruise on paper turn on the marine GPS and use that as a reference. 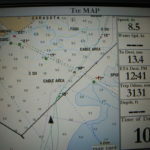 The helmsman should use the GPS Chartplotter, RADAR and other features offered by modern electronics and the mate/navigator should keep the paper chart to know what must be navigated around the corner. When the mate uses the paper chart it keeps the GPS free for the helmsman. And before you think about stowing the paper chart until you need it, remember this. WHEN your GPS/chartplotter fails you want to know exactly where you are. If the paper chart is open and followed along as you travel then you can panic slowly and take your time to figure out why they failed…instead of wondering where to go next. 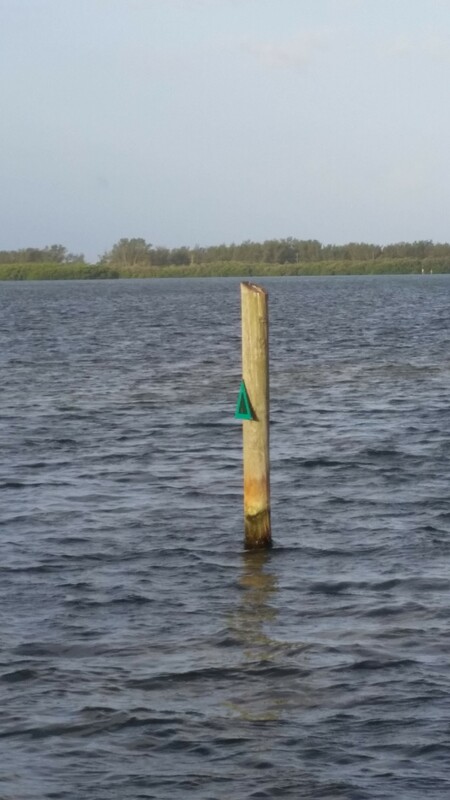 Don’t forget, one set of binoculars each for the helmsman and mate. 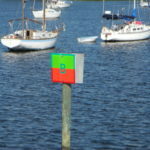 You have different visual acuity and probably don’t want to constantly adjust the lens each time one of you needs to see the next buoy or day beacon. Carry a third set for your guests to look at Dolphins. 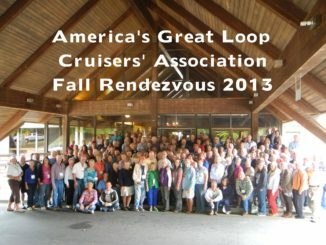 Learn more about navigation, trip planning and cruising in general by taking hands-on instruction. Web sites may get you started but personal instruction is best. 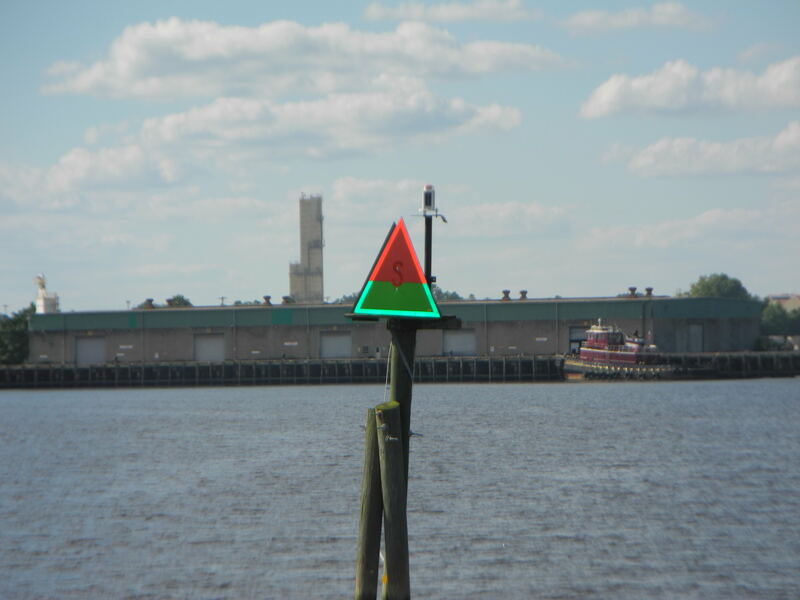 At minimum, every member of your crew should understand the fundamentals of navigation, understanding what the chart symbols mean and what to expect when they look out the window. 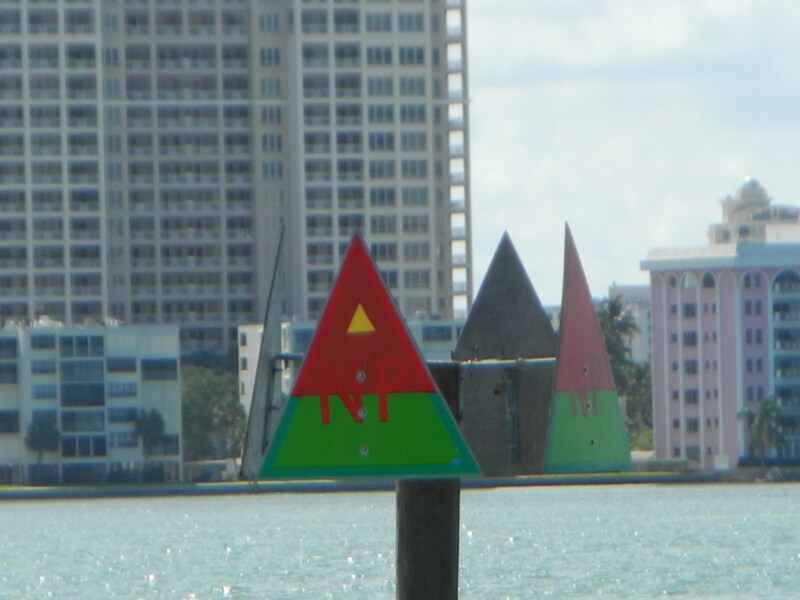 Quiz: If you cruise upon a Day Marker with four triangle boards, red paint on top half, green paint on bottom half, the letters NP below a yellow triangle decal and no number then what do you do? Where should you steer? 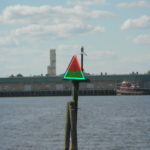 The small screen GPS of any brand may not provide enough detail to solve the question before you run aground. Answer? Ask Captain Chris. Do It In A Dinghy!